This Premium Leather Pouch is made from crafted leather. Securing your phone has never been easier. AGF's Premium Leather Pouch is made from beautifully crafted leather. This case is equipped with special sleeper magnets so that when your device is placed in the case, it automatically goes into sleep mode and helps preserve your battery life. 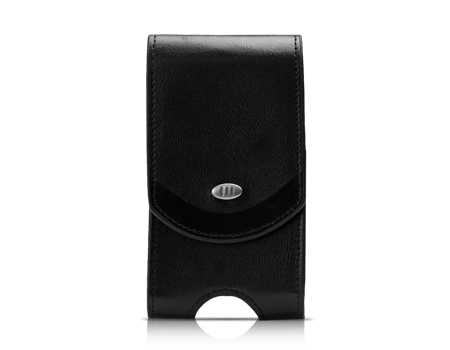 AGF's Premium Leather Pouch also includes our 180-degree rotating belt clip, allowing for adjustable placement and maximum comfort. Our attractive magnetic flap, with a contrasting leather stripe, makes securing your phone amazingly simple. This pouch has all the utility you'd expect, paired with the style you want.